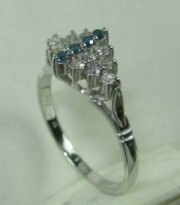 Solitare ring with center color stone. 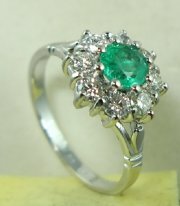 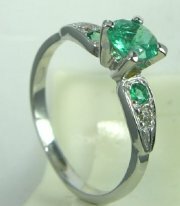 Vintage diamond and color stone ring with emerald . 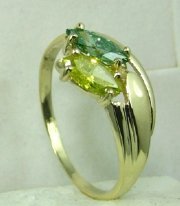 Designers fancy style ring with color stones. 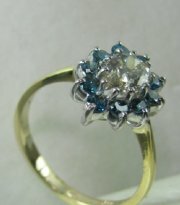 Designers fancy ring with color marquise stones. 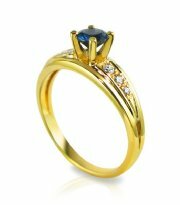 Fancy design diamond and sapphire ring. 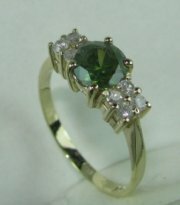 Vintage gold and diamond ring with emerald or other color stone. 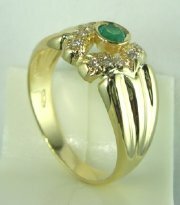 Classic gold and diamond designers ring,price without center stone. 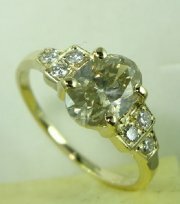 Vintage gold and diamond ring with earrings and pendants. 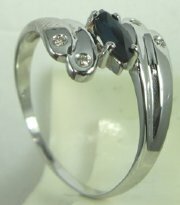 Classic solitare ring with color center stone. 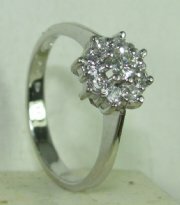 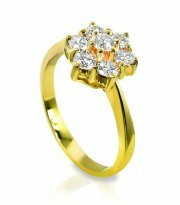 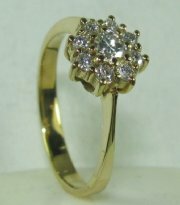 Lady Diana style gold and diamond ring with round center stone, price without center stone. 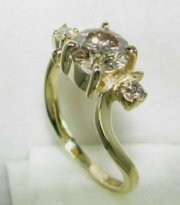 Vintage style cluster ring with diamonds. 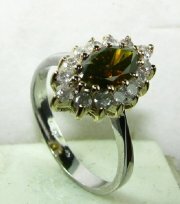 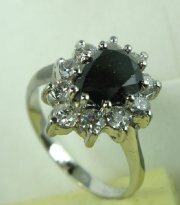 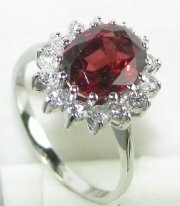 Vintage style Lady Diana ring with pear shape color stone at center. 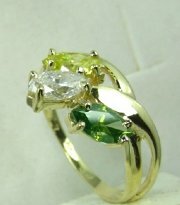 see 4014 Earrings 5941 pear shape center stone, price without center stone. 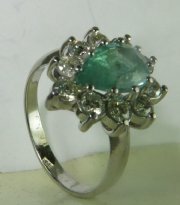 Semi precious center stone ,see 4012. 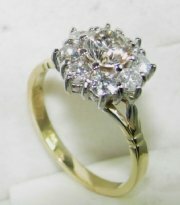 Cluster vintage style diamond ring.